Artist&apos;s Retreat Bed and Breakfast is a home from home and suitable for families, couples or business travelers. The rooms are spacious, all having either bath or shower on suite. As this is a wellness retreat, there is no television in the rooms as we try to keep the environment tranquil. Guests are here for the three R&apos;s - relax, rest and rejuvenate. Please note that between the following dates 16 December till 31 December we do not take bookings less than three night. Inquire about our package deals. Care has been taken with good beds and quality percale linen, luxury towels and complimentary soaps in all bathrooms. A full / continental breakfast is optional on request. Guests usually don&apos;t have to worry about lunch as the breakfast is ample. Rates quoted do not include breakfast or any other meals, however it may be arranged prior on on arrival. The property provides safe parking and private entrances to rooms. Two lounge areas, a dining area, a billiard room, and an open veranda are accessible to all guests. Special rates apply for large groups and long stays. (7 days or more). Wellness Therapy courses (relaxation and counseling through the use of Art) are run on a weekly basis or for groups over the weekends. Please inquire regarding applicable rates. You do not have to be artistic to participate, art is merely the tool used to assist with the healing process. The course is based on Christian principles. Courses are for all that need to address issues in their lives, or have gone through trauma; it assists with inner healing with the help of a trained counselor. Art classes are available for guests at an additional rate. Visit our gallery on site. "our stay at the artist&apos;s retreat"
"hi,We went with our family (2 adults &amp; 3 children) for a weekend to the west coast and stayed in room 4 of the the artist&apos;s retreat. Room 4 is a basic, nice, clean room with a double bed, three single beds, a small saloon (with a fridge, a water boiler, and a small library) and a bathroom. The owner offers a terrific breakfast (and is by the way very friendly and helpful). 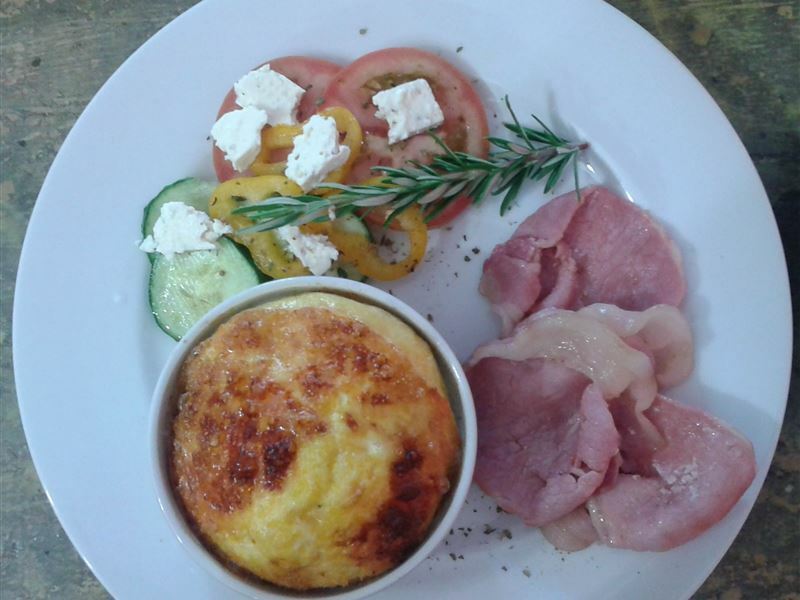 It is a place I can recommend to families.Erwin &amp; family"
"Priscilla het ons baie welkom laat voel, ontbyte heerlik en alles so mooi skoon en gerieflik.Priscilla we feel very welcome, delicious breakfasts and everything so clean and convenient." "Charming quaint setting with knowledgeable hostess, great stay! Highly recommended." "Me and my dog Bella enjoy each moment of our stay; the rooms are spacious an decorated with panache. The service was provided with so much concern and love. The food was served with finesse and was such a surprise. You will see us soon." "In keeping with the charming location, the interior of this lovely accommodation was delightful and whimsical. Having arrived after dark, the thoughtful hostess kindly ordered me a delicious home-delivered meal that arrived in next to no time. Hostess also extremely informative, and she is a great cook (her pepperdew chicken for breakfast is to-die-for!). Rooms lovely, clean and neat. Will definitely come back again to Jacobs Bay, just to stay here... and for longer!" "Great place to stay. Received a warm welcome. Everything we needed was available in our rooms. Great breakfast. Thank you Pricilla."